Hongbin Sun, received his B Sc and Ph.D from Dept. 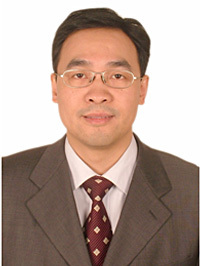 of Electrical Engineering, Tsinghua University in 1992 and 1997 respectively. He is now a full professor in Dept. of Electrical Engineering, Tsinghua Univ., and assistant director of State Key Laboratory of Power Systems in China. He was a visiting professor with School of Electrical Engineering and Compter Science at the Washington State University, USA, from 2007.9 to 2008.9. He is members of power system dynamic performance committee, power system stability subcommittee and energy development subcommittee, all under IEEE Power & Energy Society. He is also members of IEEE PES cascading failure task force and CIGRE C2.13 task force. His research interests include energy management system, system-wide automatic voltage control, applications of information theory and intelligent technology to power systems, on which he has published more than 100 papers.